Help us build brighter and more just futures today. 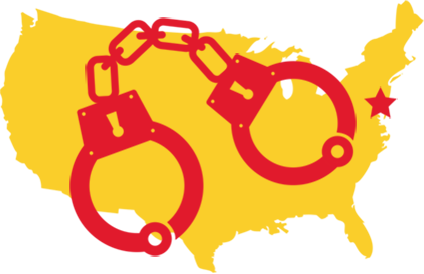 YSRP works to keep children out of adult jails and prisons, and to bring home people who were sentenced as children to life in prison without the possibility of parole (“juvenile lifers“). During the court process in individual cases, YSRP presents prosecutors and judges with mitigation reports, or humanizing narratives of a person’s experience.  For juvenile lifers eligible for resentencing and Parole Board hearings, YSRP provides workshops inside of prisons on mitigation, reentry and self-advocacy. As close to a child’s arrest as possible, and prior to juvenile lifer resentencing hearings, YSRP creates individualized reentry plans that connect youth or juvenile lifers with critical supports and services in housing, employment, education and health and mental health care. 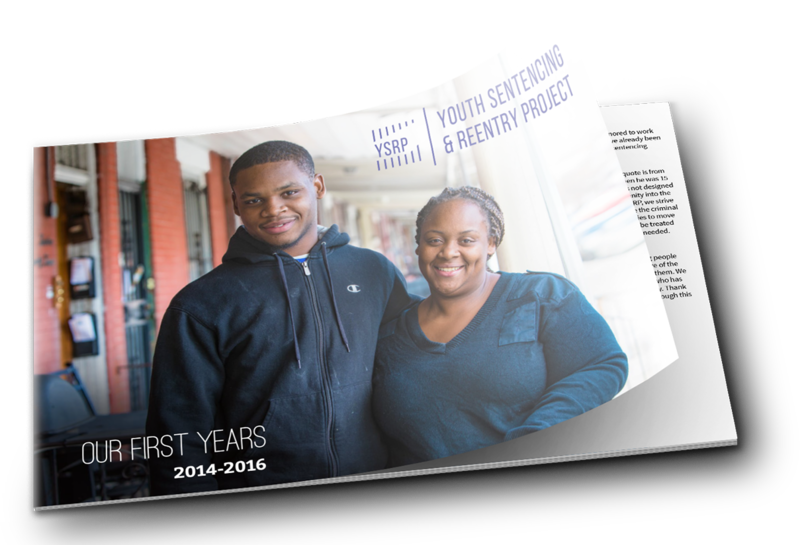 Before, during and after incarceration, YSRP connects youth, juvenile lifers and family members with needed supports and services. 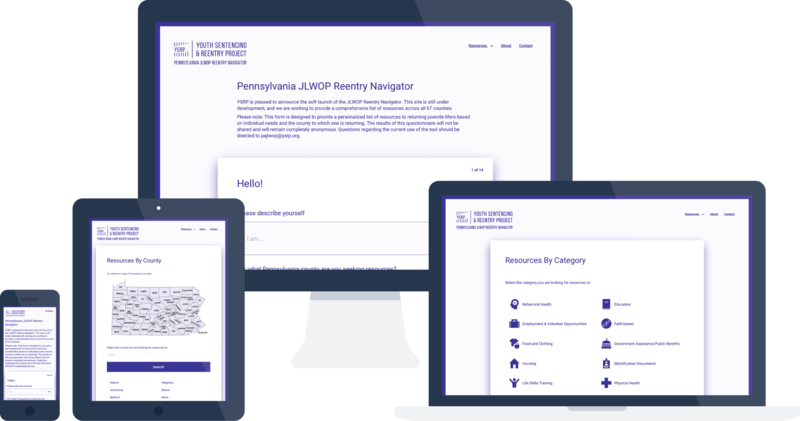 YSRP created and leads the JLWOP Reentry Working Group, a citywide response to coordinated reentry service provision and planning for juvenile lifers. YSRP creates tools and provides trainings for defense attorneys to raise the level of representation for youth charged in adult courts and juvenile lifers facing resentencing and Parole Board hearings. YSRP trains and supervises graduate law and social work students and other volunteers to work in teams that create impact within and across systems. YSRP aspires to end the practice of charging youth in adult courts. In the interim, YSRP’s policy advocacy chips away at the harmful impacts of adult incarceration on young people and their families. 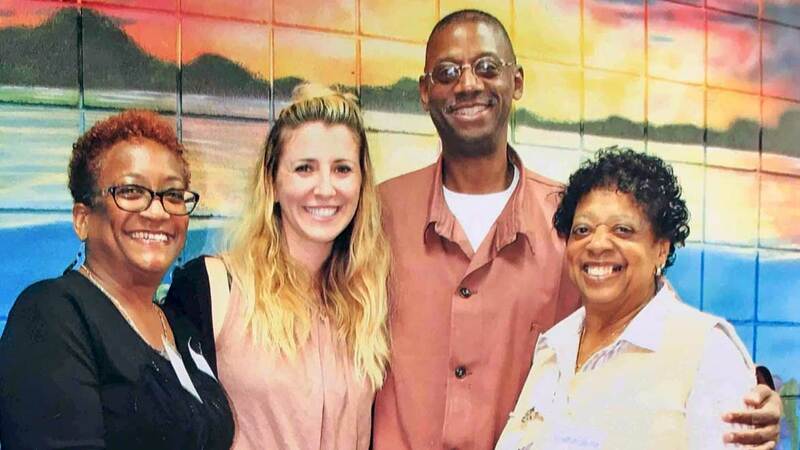 Eddie lived in prison for 36 years with no hope of release until the Montgomery v. Louisiana US Supreme Court decision in January 2016. 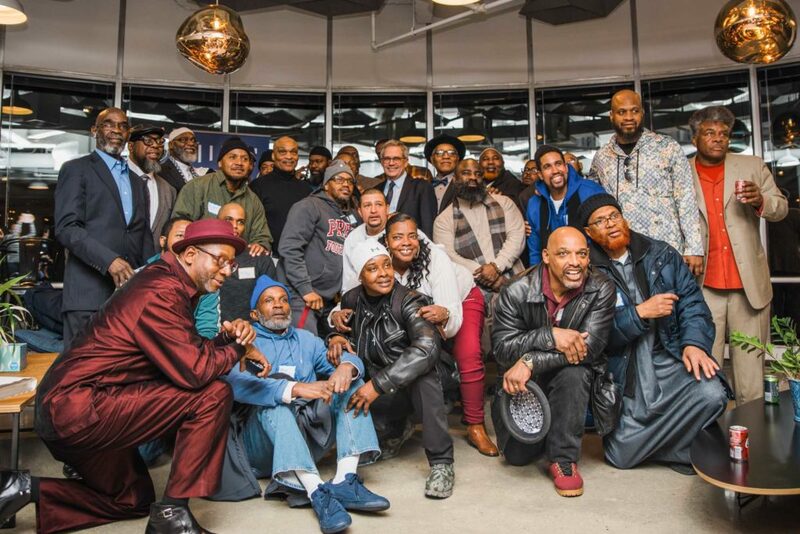 While in prison, he earned his GED, an Associate’s Degree in Religious Education, and became a minister and facilitator to the men serving alongside him. For John,* a youth client-partner of YSRP, violence and tragedy permeated his childhood. YSRP worked with John to move his case from adult court to the juvenile justice system. 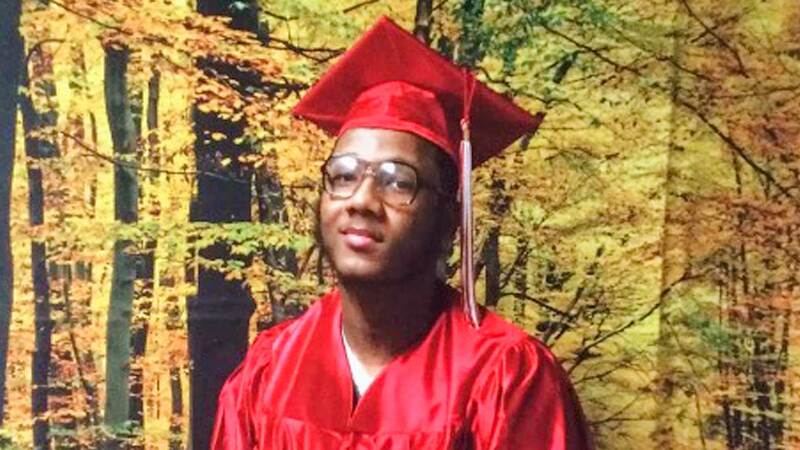 Now home, John is working hard toward his bright future: toward becoming a college graduate, and a social worker. Eugene describes his experience of being sent to adult jail at the age of 15 years old, and how he came to know and work with YSRP. 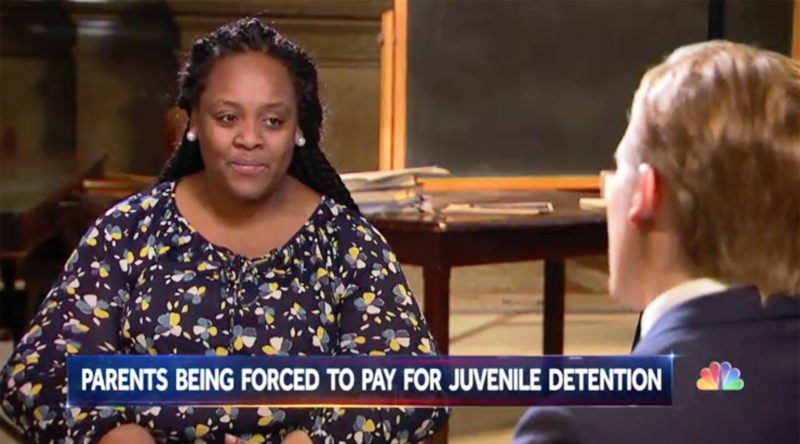 Eugene’s mother Wylicia describes the challenge of being a parent navigating the adult court process for her son who was charged as an adult, and the kind of future she wants for her kids. Film by Will Drinker. 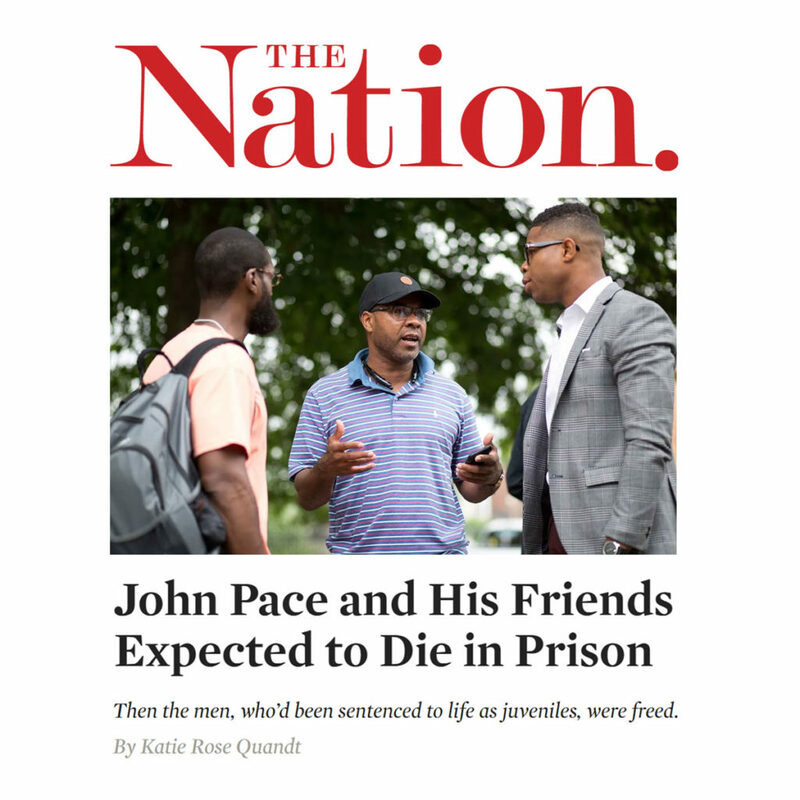 YSRP’s John Pace and leaders of the Life After Life group are featured in a November 16, 2018 article in The Nation.